Associate Corporate Counsel Location: Regina, SK Position Type: Permanent full-time Number of Positions: 1 Salary: Will be determined based on education and experience Close Date: August 6, 2018 Tired of litigation and looking to branch out into labour arbitrations and corporate commercial work? Or perhaps you’d like to use your knowledge and experience in these areas while working with a dynamic business? 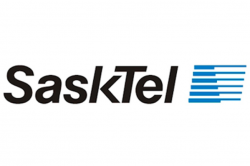 SaskTel has an opportunity for you to work on litigation and labour and employment matters while also providing corporate-commercial advice to SaskTel and its subsidiaries to assist in meeting their business and service goals. About SaskTel Delivering first-rate communications to the people of Saskatchewan for more than 110 years, SaskTel is a major player in the Information & Communications Technology sector. Operating as a provincial Crown Corporation, SaskTel competes with local and national businesses, while giving back to our province through community initiatives. Our workforce is comprised of approximately 4,000 union and non-union employees throughout the province of Saskatchewan and we focus on providing great customer experience and quality products. People really like to work here and we think you will too. The Opportunity We are looking for a dynamic and enthusiastic Associate Corporate Counsel to join our legal team at our head office in Regina. This is a full time permanent position. As a strategic member of the Corporate Counsel team, during your first year, you will be the “go-to” person for all labour and human resources advice and will handle litigation and labour arbitrations on behalf of SaskTel and its subsidiaries. You will be expected to run your own litigation and arbitrations, as well as be responsible for corporate commercial work including negotiating, reviewing and approving contracts; creating practices and procedures while ensuring compliance with relevant legislation and legal influences; and communicating and negotiating with SaskTel’s business partners. Following the first year, you will retain some labour and employment responsibilities and litigation files, but will also have the opportunity to expand your responsibilities to corporate commercial work. Our legal team prides itself on leveraging our legal skills and business acumen to find solutions to business problems while providing legal direction and advice to the SaskTel management team. We’re looking for someone who takes pride in their work and wants to make a difference, just like us. In the past, lawyers with a passion for our business have had the opportunity to advance in many different areas. We are also prepared to grow someone with only 3 to 5 years experience into the Associate Corporate Counsel role, starting in a more entry level position. This position will be responsible for performing a wide variety of complex and confidential legal and administrative tasks providing support to lawyers, Bylaw Prosecutor and Risk Manager. This position requires solid knowledge of legal concepts, principles and terminology, strong working knowledge of current legal office practices, procedures and filing systems, and a critical eye for attention to detail and accuracy. R esponsibilities of the position require independent judgement, initiative, discretion and tact, with a strong emphasis on exceptional customer service for internal and external customers, including other levels of government, court and administrative tribunals. This position reports to the Law Office Administrator. This position may be assigned to any of the areas within the Legal Services, Prosecutions or the Risk Management Branches of the Office of the City Solicitor. Although the position may work primarily in one area, the position will be expected to possess, develop, and maintain proficiency in all areas through cross-training and seminar training. Typical duties include: Performs a wide range of complex and at times politically sensitive administrative and legal duties. These responsibilities include: bylaw preparation/drafting, real estate transactions including complex transforms, planning and development matters, heritage designations, contracts, financial documents, assessment appeals, and litigation Performs the duties of the Clerk of the Court, acting as liaison with the Provincial Court. These responsibilities include: attending court, preparing and compiling documents for the Bylaw Prosecutor and the Municipal Court Justice, including notice of fines, court endorsements, trial summary logs, creating a wide range of court related documents, and preparation of annual statistics. Responsible for a wide range of claims and litigation handling processes. This includes: maintaining a computerized data base program of all claims by and against the City of Regina, recording losses reported and amounts recovered, receipt and routing of accident report forms, completing loss and recovery documents, proofs of loss, property damage releases and final releases, compiling current lists of City and Police property for insurance coverage and requisitioning cheques in payment of claim and litigation settlements. Provide customer service and responds to inquiries from client departments, the public, government offices, private law firms and all levels of court and administrative tribunals. Prepare and obtain files, determines priorities and deadlines and refer complex matters to proper legal personnel. Maintain various computerized law office systems, including litigation management, prosecution and court scheduling, and claims management systems. Responsible for keeping records and files on legal transactions in assigned area of work. Prepare numerous confidential and sensitive reports and legal documents. Compose correspondence from very general instructions in reply to written or verbal inquiries. Preparing and assembling necessary background information and files required for meetings, appointments and court proceedings. Maintain a comprehensive bring forward system to track outstanding issues and determine the status of outstanding items through contact with the appropriate individuals or Departments. Preparation and filing documents following the Rules of Court and other relevant legislation for all levels of court and administrative tribunals including assessment appeals. Responsible for the registration of documents through the Information Services Corporation for Land Titles. Process payments from the public and trust funds from law firms ensuring prompt deposit and compliance with any trust conditions. Assist lawyers in legal research. Develops, implements, analyzes and reviews administrative procedures and systems specific to the office administrative functions of the Department to ensure consistent and effective Department operations. Perform related duties as required. Candidates will be screened on the following criteria: *** To be considered for this position you must clearly identify your qualifications, experience, knowledge, skills and abilities and where you obtained them in your application/resume. *** Typically the knowledge, skills and abilities are obtained through a Grade twelve (12) diploma and the completion of either a Legal Secretarial course from a recognized business school/college or an administrative course combined with legal seminar training; and a minimum of three (3) years experience in a law office or court facility. Ability to work independently, demonstrates sound judgement and decision-making skills, and participates as a team member to meet the needs of clients and coworkers and to build positive relationships. Ability to independently analyze and resolve problems by applying initiative, practicing due diligence and sound judgement when responding to and dealing with issues and confidential information. Ability to establish priorities and organize and prioritize multiple tasks while adapting to changing circumstances and meeting deadlines in a fast-paced environment with frequent interruptions. Ability to systematically search and assess data to develop informational material and reports. Ability to coordinate activities, schedule meetings, arrange appointments, prepare and compile agendas. Ability to input, edit, retrieve, format, transmit and link file data, create and generate queries, diverse reports and documents utilizing word processing, databases, spreadsheets, communications and other software packages with speed and accuracy. Ability to communicate effectively expressing ideas both verbally and in writing in a manner and style adaptable to various situations to obtain and provide information and explain policies and procedures with external customers as well as internal clients. Ability to maintain confidentiality and a professional approach including being goal and results oriented and an innovator who displays trustworthiness, integrity and enthusiasm. Ability to build effective, strong interpersonal relations, effectively interacting with people, respecting the needs and feelings of others, and maintaining the self-confidence and esteem of others. Ability to operate, trouble-shoot and maintain a variety of computerized office business machines and office equipment in order to provide efficient delivery of service. Ability to thrive in a fast-paced environment with time sensitive deadlines and have exceptional organizational, verbal and written communication skills. Must possess demonstrated effective organizational and time management skills. Thorough knowledge of business English, spelling, punctuation and arithmetic. Thorough knowledge of modern office management and administrative procedures, protocols and operating systems including filing, indexing and cross-referencing methods and the types and uses of common office materials and machines. Advanced knowledge of computer applications such as email, word processing, spreadsheet, presentation and law office systems. 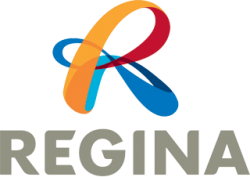 Knowledge of the organization, policies and regulations of the City of Regina and activities of the department. Knowledge of court procedures and processes. Knowledge of general rules and regulations of the Provincial Occupations Health and Safety Act. Working/Other Conditions: Typing speed of 65 w.p.m. Must be capable of becoming a Commissioner of Oaths upon appointment. This position will be working in a busy office environment with numerous interruptions. There will be long hours sitting and using a computer, with numerous deadlines. The successful incumbent will be required to sign a confidentiality agreement and provide a criminal record check. Note: Testing may be done to evaluate knowledge, skills and abilities. Note: As per the City of Regina Criminal Record Check policy, the above position has been identified as a “position of trust”. Successful candidates will be required to complete a Criminal Record Check. Note: Candidates selected for an interview will be required to provide proof of acquired education. Department: Legal Services Salary Grade: Pay Class 10 (Local 7) Salary: $24.39-$31.17/Hour; $46,502-$59,429/Annum The City of Regina values diversity in our workforce and encourages applications from all qualified Employment Equity candidates.